Most people know that getting enough rest after exercise is essential to high-level performance, but many still over train and feel guilty when they take a day off. The body repairs and strengthens itself in the time between workouts, and continuous training can actually weaken the strongest of people. Rest days are critical to performance for a variety of reasons. Some are physiological and some are psychological. 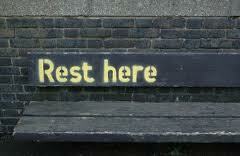 Rest is physically necessary so that the muscles can repair, rebuild and strengthen. For recreational athletes like most of us ( ), building in rest days can help maintain a better balance between home, work and fitness goals. Hey I enjoyed to read this article and appreciate that rest and recovery is very important for us.